Our Tuesday’s Forex signal has made +172 pips so far. 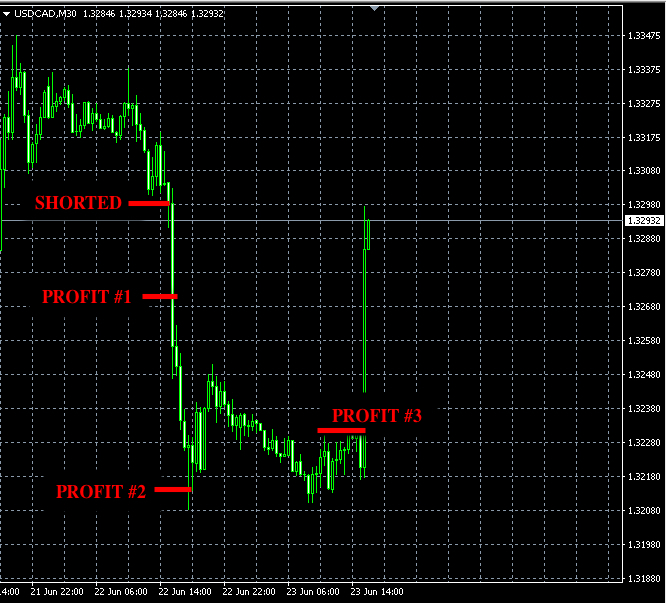 Both profit targets were reached for the total profit of + 80 pips. 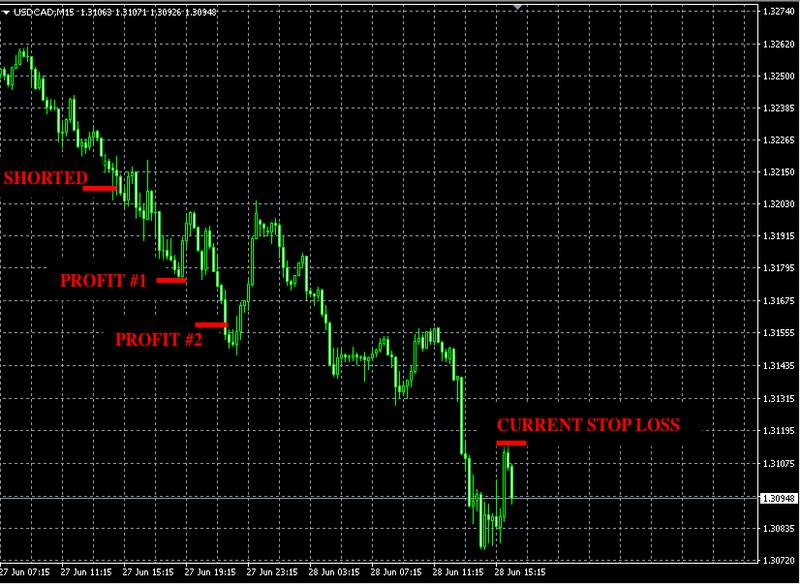 The third unit is still open with the protective stop-loss order at 1.3115 for additional +92 pips of profit. Our Forex signals made +165 pips of profit this week. The chart above is the perfect example why it is important to set profit targets. Notice how the price reached our second profit target within just 7 pips for only a moment and then it promptly pulled back. If we did not set the P2 profit target, our profit would be much smaller or even completely eliminated by the subsequent price surge on the news this morning. 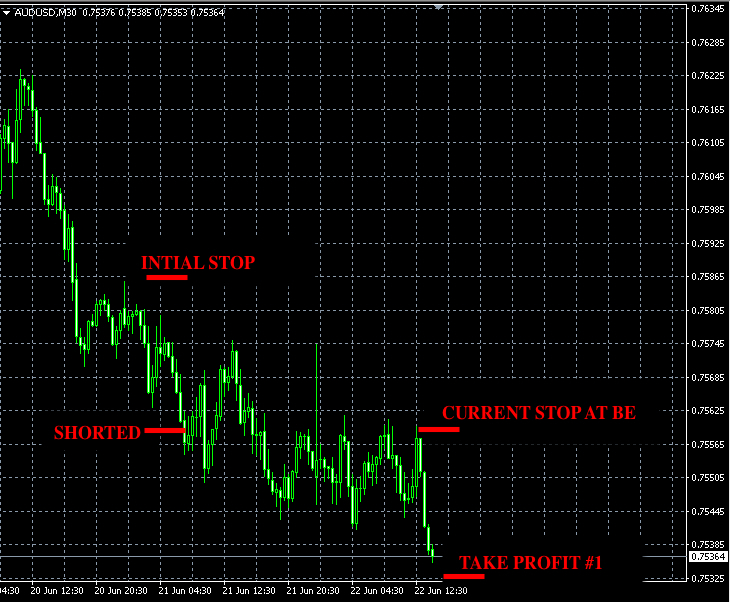 Our AUDUSD trade did not reach P1 and triggered our protective stop-loss orders at the break even price.